He goes back in for heroic reasons—the best reasons, really—in order to help an old friend-slash-something-more. But I wouldn’t consider it too much of a spoiler to say that the situation goes south very quickly, and takes Rocket with it. Once back in that life, Rocket finds himself very much back in it, and as things get crazier, so do the heists. I’d call it very much a “caper” book. It kinda sounds—and looks, judging by the cover—like it’s going to be Ocean’s Eleven but with space aliens. That’s pretty great! 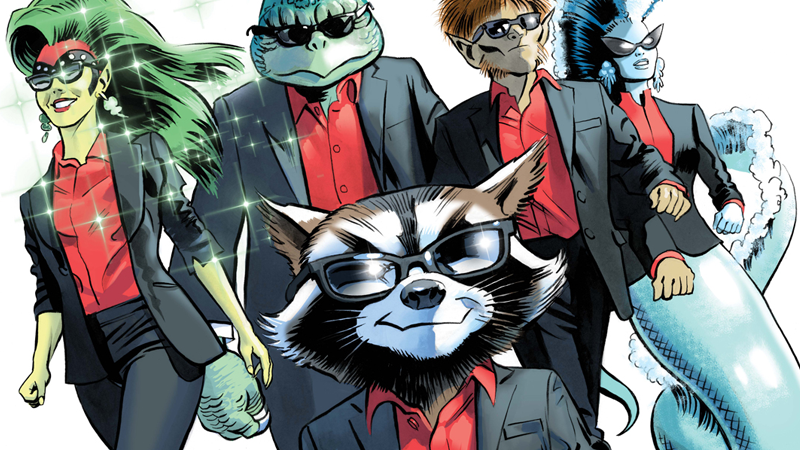 Rocket will hit shelves in May, just in time for Guardians of the Galaxy Vol. 2 to hit theaters. Convenient that, isn’t it?